Although it takes effort, Thailand, with its abundance of fruits and vegetables, is a great place to eat vegetarian. If you’re vegetarian, or if you just want to eat healthier, the Vegetarian Thai Food Guide (eBook) will ensure you don’t to miss out on delicious food when you’re in Thailand. One of the greatest things about Thai food is all the herbs, vegetables, and fruit used in Thai cooking. Thailand is really a wonderland for vegetarians and healthy food lovers. While there are some specific vegetarian only restaurants, many restaurants and street food stalls have an abundance of vegetarian options, but they toss in a little meat for flavor or season with fish sauce. The Vegetarian Thai Food Guide not only covers information about vegetarian restaurants, but also how to specifically order vegetarian Thai dishes at non-vegetarian restaurants. Thai vegetarian dish suggestions – try these amazing dishes! It may take some effort, but leaning how to order and what to eat will ensure you don’t miss out on the amazing vegetarian Thai food when you’re in Thailand. What is an eBook and how can I use it? 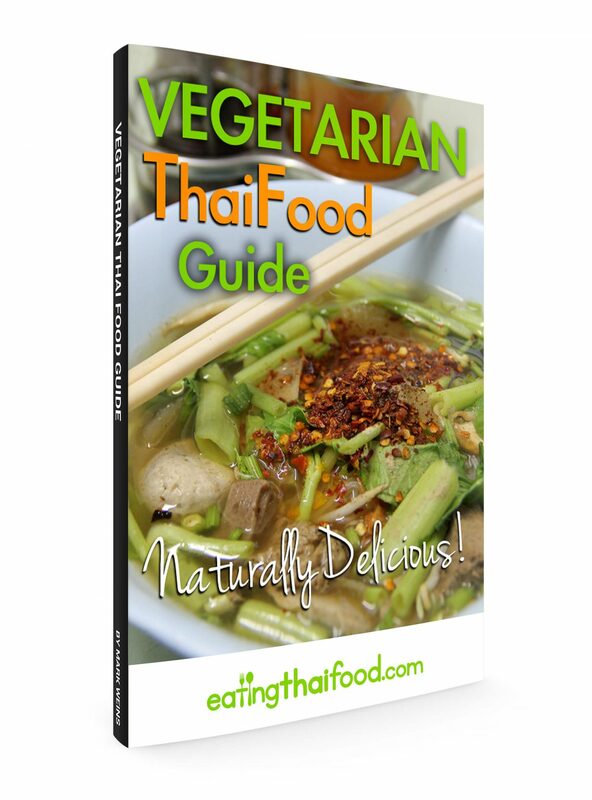 The Vegetarian Thai Food Guide is an eBook, available in PDF format. Once you purchase it, you’ll be able to download it immediately, and load it onto your computer, tablet, or mobile device. This makes it easy for your to transport, carry around at all times, and makes it convenient to use in times of need. 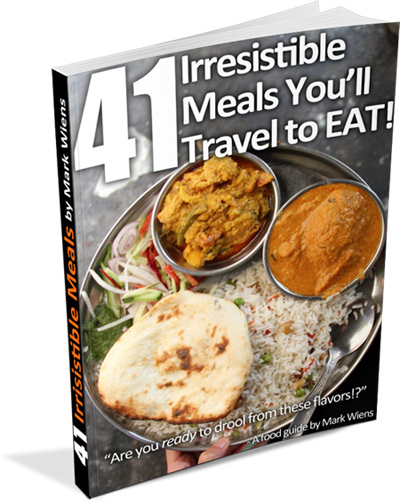 As with all of my eBooks, you can buy the Vegetarian Thai Food Guide at no-risk. If the guide isn’t what you though it would be or if you don’t learn something, just let me know and within 30 days of your purchase I’ll give you a full refund, no questions asked.